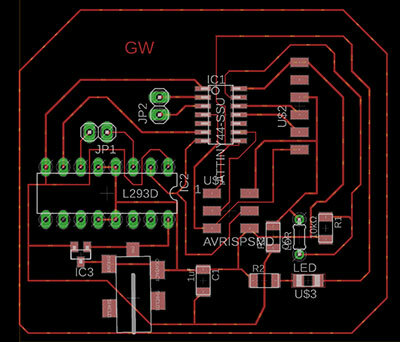 For this week i have used the same board which i used in last week as i as i have both input and output pins in board and for output i have DC motor which i am using in this week as output device. 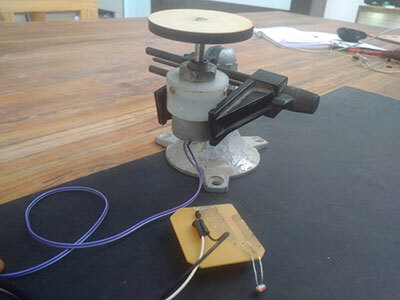 1 l293d- IC for controlling Dc motor. In this board the green pads are for through hole component, i have connected motor for output which is to be connected at jp1 pin header ,i connect 5.5 v voltage regulator so it will supply power to all other component in circuit which are operated at 5.5 v 0r less than that . 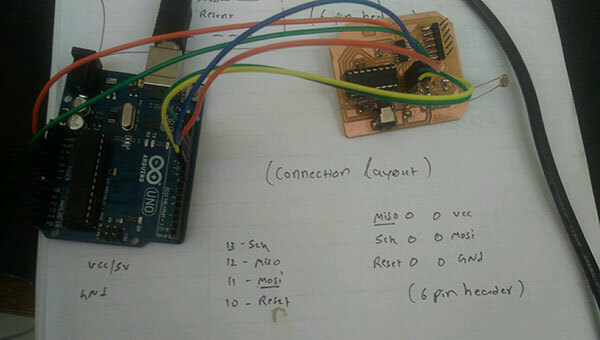 Here i use Arduino for programing my board this 10, 11, 12 ,13 are pin on arduino board are programing pins and the pins of 6 pin header are in same order as shown in diagram connect respective pins having same name.